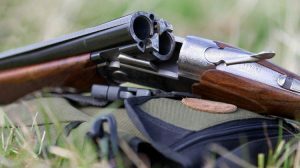 There are several important things to consider when choosing the right hunting weapon for the required job. The first thing a hunter needs to think about is the type of prey he will be culling. There are several animals in the world that can spot a human from a far distance, deer in particular are notorious for this. Hunters also need to recognize how tough the animal is. For instance, if it has a thick hide, then the hunter will need to employ a more powerful weapon. One of the biggest factors in deciding the choice of weapon is whether the prey is to be taken down from a long or short distance. Shotguns make the best short distance guns. This is because they are powerful and fire a large spread. One issue with this type of gun is the fact that the pellets can get into the meat and ruin the eating experience. Rifles are the standard for long distance shooting. They are readily available in a number of different models. There is bound to be one that fits a person’s individual budget. They come in a number of different calibres, making them one of the most versatile weapon types for this purpose. If someone does decide to purchase a rifle, then it is well worth getting one with a scope. This will make the shots much more accurate. A binocular scope can be a person’s best friend when out in the wilderness tracking down a prey. Some countries permit crossbows. These are silent, which can work to a person’s advantage. However, it must also be stated that these weapons can cause unnecessary pain to an animal, therefore they are not recommended, unless the hunter has a very good aim with them. One of the major issues needing to be addressed is the matter of hunting laws in the country in question. If people are targeting wild boars in Australia, they need to make sure their rifle meets the country’s legal standards. They must also have the correct licence if they wish to carry it. Some territories demand that people even have a hunting licence before they can participate in this activity, therefore the first thing a would-be hunter needs to do is to research the law. This will prevent any potential upset in the future. More hunters are turning to more humane methods. Non-lethal weapons are increasing in popularity. Those who are fulfilling a culling service will inevitably have to kill the animal, however those who are hunting for sport no longer need to end the animal’s life. Tranquillizer darts are starting to take over as the primary method of shooting wildlife. The shooters get to show off their marksmanship skills and the animal in question will simply be knocked out. This still gives the hunter the chance to take a photograph with his prize. Pictures are becoming more common than physically taking away the animal. This is likely the main reason why non-lethal weaponry is gaining popularity. People no longer want to lug their prize back to their homes. Instead they can leave it to wake back up. This gives hunters the peace of mind of knowing that they are not wasting meat. It also means that this animal can be targeted again in the next year.